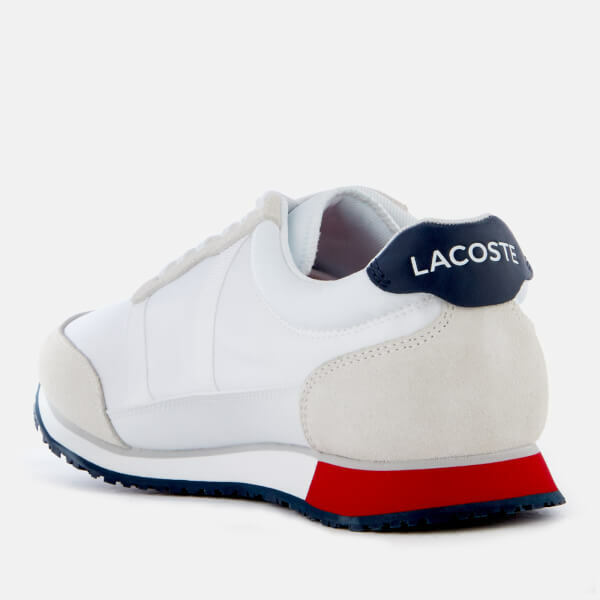 White runner-style low-top trainers from Lacoste with satiny textile uppers and grey suede accents. 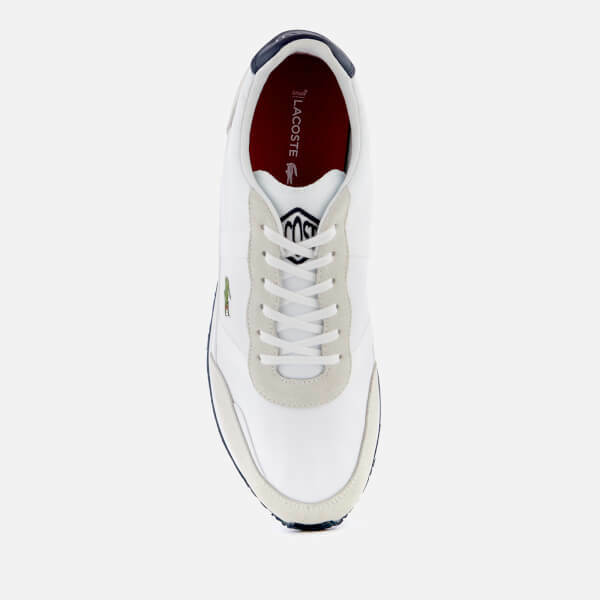 Set upon a treaded rubber sole for enhanced grip, the ‘Partner 119 1’ sneakers feature a round toe, lace-up fasten and Ortholite™ foam insoles for high-level breathability and improved moisture management and unparalleled comfort for all-day wear. 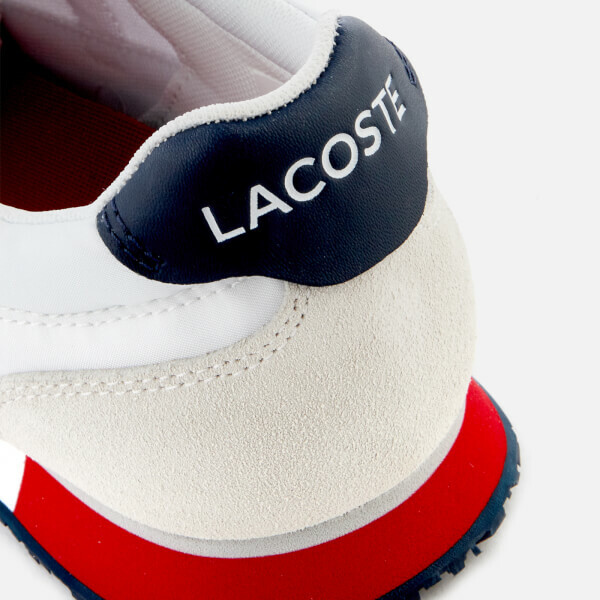 Branded navy blue heel caps and a red stripe on the rear sole add a pop of colour. 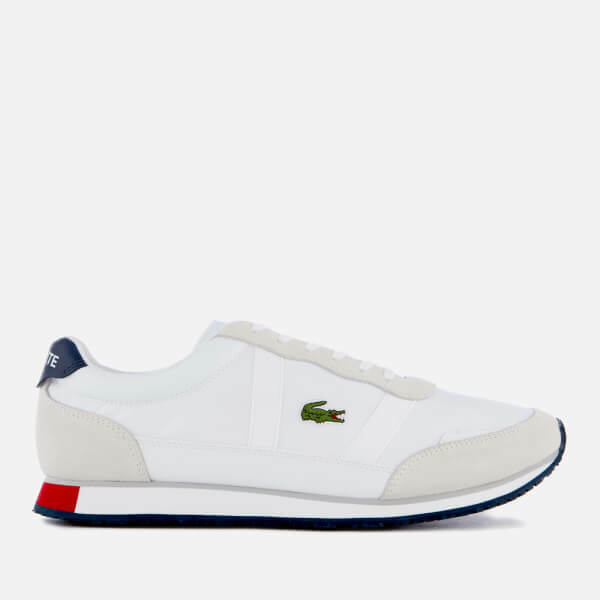 Complete with signature croc motif embroidery to the outside foot.